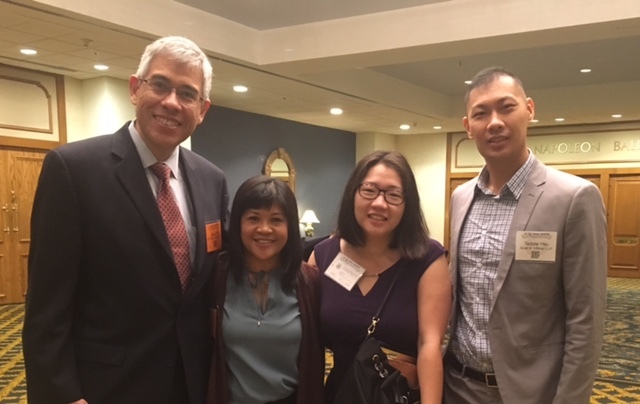 At the National Asian Pacific American Bar Association (NAPABA) meeting in New Orleans last week, I spoke on a panel for attorneys interested in transitioning to the legal academy; Professor Rose Cuison Villazor moderated. The two of us are involved in reactivating NAPABA’s law professor’s committee, the goal of which is to serve as a link between the practicing bar and the legal academy. I also gave the keynote address at the luncheon of the International Law Section, talking about my work with the UC Davis APALSA getting the California Supreme Court to posthumously admit Hong Yen Chang, the first Chinese American attorney in New York who was denied admission to the California bar in 1890 because of his race. The California Supreme Court admitted Hong Yen Chang in March.